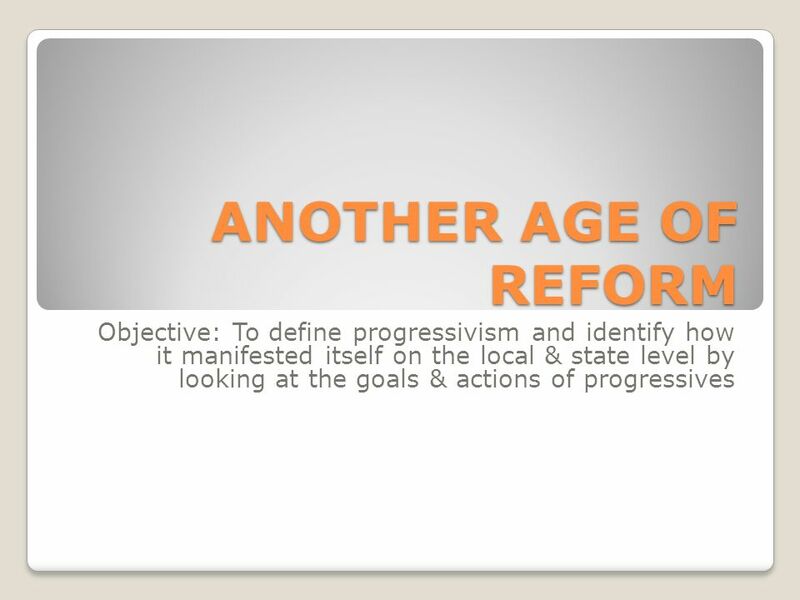 ANOTHER AGE OF REFORM Objective: To define progressivism and identify how it manifested itself on the local & state level by looking at the goals & actions. 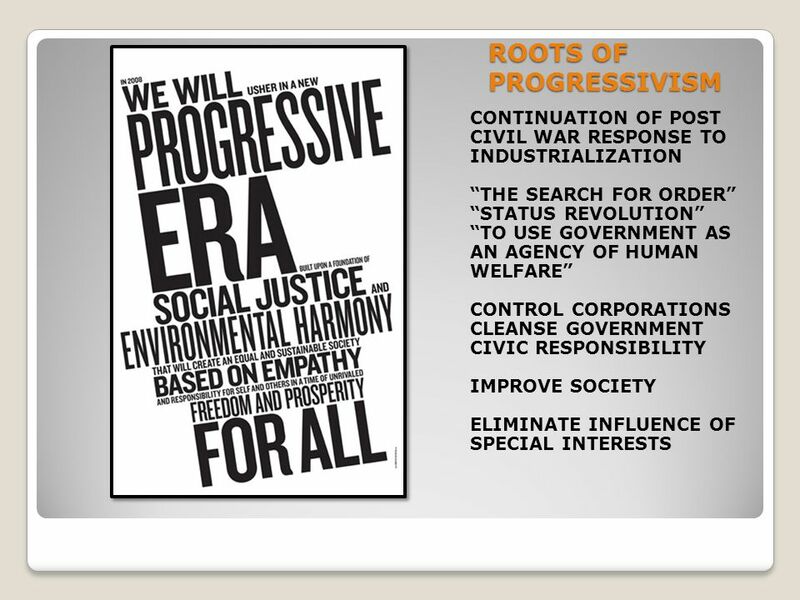 Download ppt "ANOTHER AGE OF REFORM Objective: To define progressivism and identify how it manifested itself on the local & state level by looking at the goals & actions." Monday, Oct. 21 Objective: We will investigate the 16 th, 17 th, 18 th, and 19 th Amendments by analyzing their affect on today’s society. Agenda: Warm. Progressivism Us history goal 7. MuckrackersMuckrackers TemperanceTemperance SuffragettesSuffragettes PopulistsPopulists MidclassWomenMidclassWomen LaborUnionsLaborUnions. Political Reforms and Reformers By: Cynthia Galvez Michelle Garrido Anna Cristy Juncadella. Chapter 6 Section 1. Jacob Riis Newspaper reporter, reformer, and photographer; his book How the Other Half Lives shocked Americans with its descriptions. Objectives Identify the causes of Progressivism and compare it to Populism. 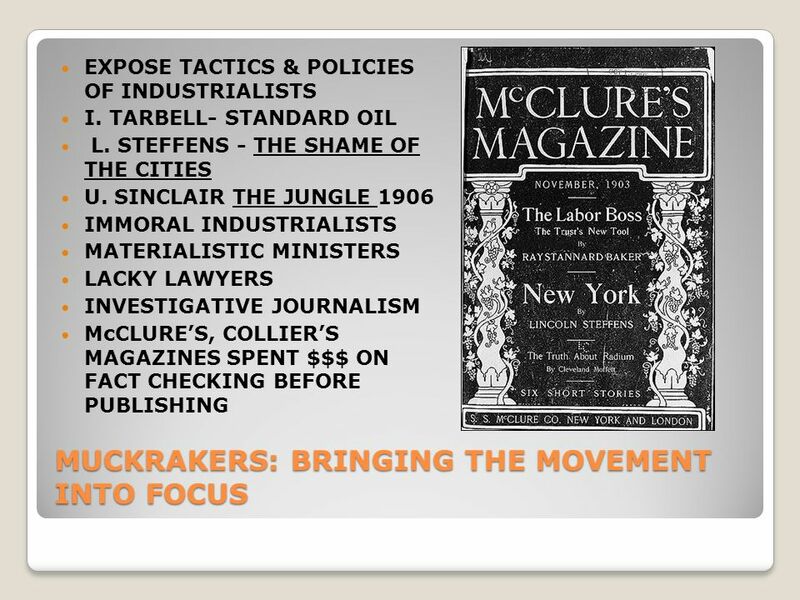 Analyze the role that journalists played in the Progressive Movement. Evaluate. 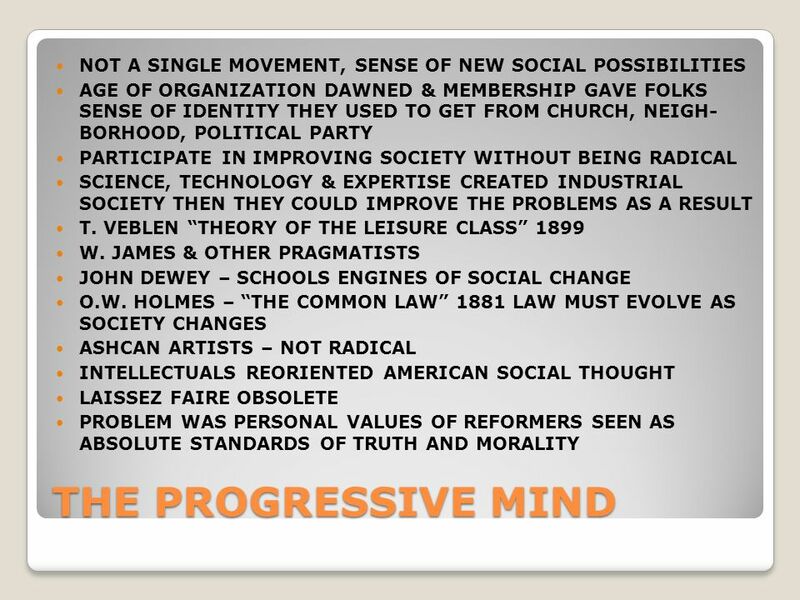 The Progressive Era The Drive For Reform. Progressivism Curing the Ills of Industrialization. THE AGE OF REFORM CHAPTER 9 SECTION 1 NOTES. 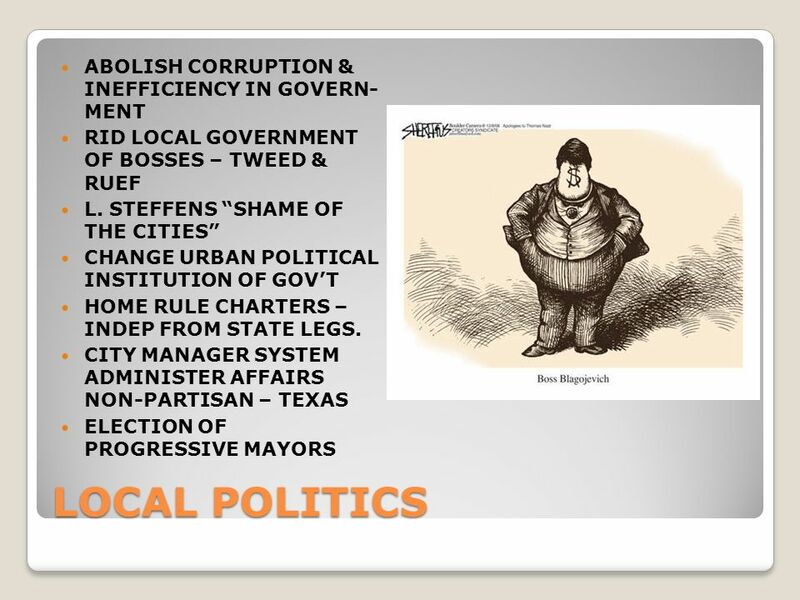  Political Bosses- political figures who had power in cities, counties, and states  Popular with the poor ◦ Gave jobs, coal, turkeys, etc. ◦ In return. TEKS 8C: Calculate percent composition and empirical and molecular formulas Progressive Reform. Progressive Agendas Section 5.3. 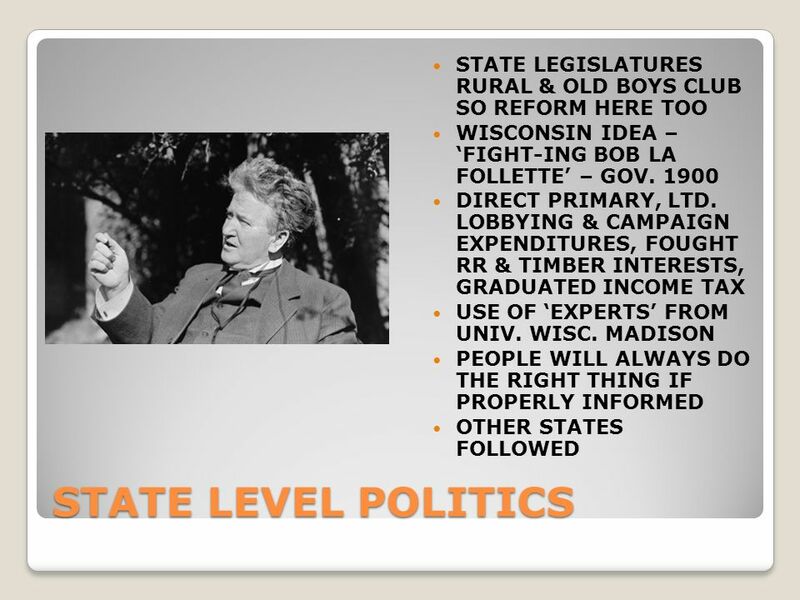 Today’s Agenda 5.3 Slide Show Presentations –Louis Brandeis (Mueller v. Oregon) –Jane Addams –Roberta LaFollette –Nellie. Objs 1. Discuss the goals of the Progressives. 2. Explain the role of the literary leaders. 3. Explain the tactics used by the Progressive groups. 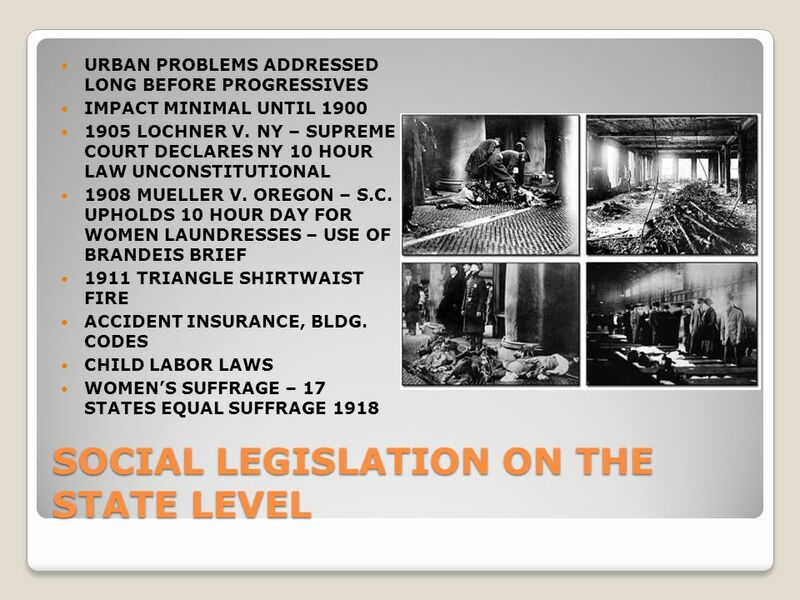 The Progressive Era 1900 - 1920 United States History.